Pattern condition: Uncut, factory folded and complete with instructions. Pattern is printed on paper for more durability. 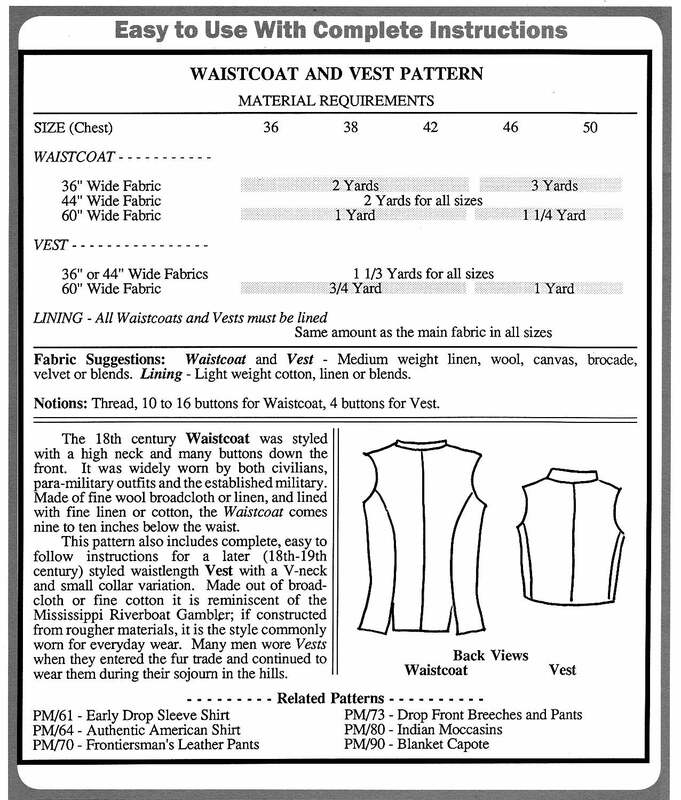 The 18th century Waistcoat was styled with a high neck and many buttons down the front. It was widely worn by both civilians, para-military outfits and the established military. Made of fine wool broadcloth or linen, and lined with fine linen or cotton, the Waistcoat comes nine to ten inches below the waist. 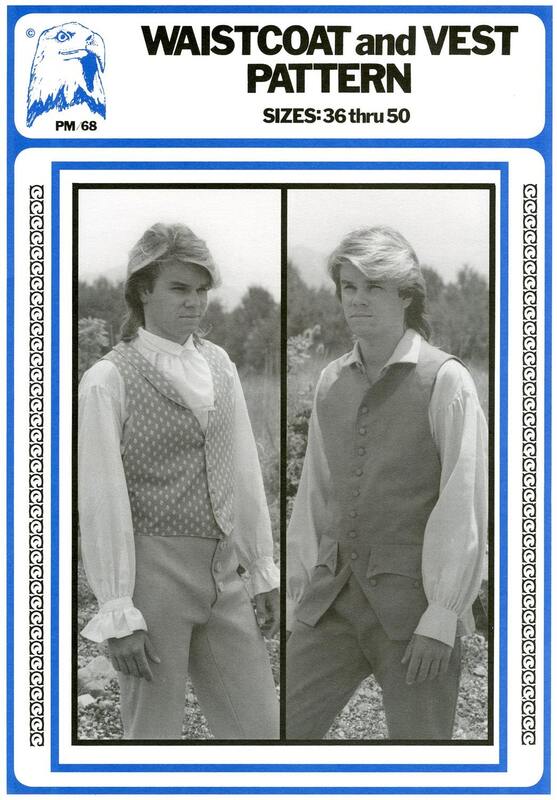 This pattern also includes complete, easy to follow instructions for a later (18th-19th century) styled waistlength Vest with a V-neck and small collar variation. Made out of broadcloth or fine cotton it is reminiscent of the Mississippi Riverboat Gambler; if constructed from rougher materials, it is the style commonly worn for everyday wear. Many men wore Vests when they entered the fur trade and continued to wear them during their sojourn in the hills.